For years Internet marketers and SEO’s have been experiencing great local search results using post office boxes and virtual offices to help businesses such as contractors and other businesses establish a presence in cities where they do not have a brick and mortar location. Although this type of practice violates Google’s Guidelines, they are getting away with it and doing a great job to get their clients ranked in cities where they do not have a physical location. We would all love to rank in geographic locations outside of the cities and counties we are located in, but not if it means that we are gaming the system to earn placement in those areas. There are alternative ways to get organic as well as paid placement in areas outside of where we are located. Creating city specific location pages for organic is one way and using geo-targeted campaigns for PPC is another. In fact Google can and will ban your business from Google+ Pages if they catch you using this tactic. Here is one marketer mentioning that her client was banned from the former Google Places due to the client using a virtual address outside of the area they live in. Unfortunately most businesses rely on this tactic that is against Google’s Guidelines and then they are looking for a way to get back into a good standing with Google. In my opinion why take chances when you depend on your business for your livelihood. Rather than taking such risks, why not build out city specific pages for the areas in which you provide services for? This maybe a more difficult way to increase your ranking in these locations especially after the Pigeon update “that rewarded Yelp, Yellow Pages, Zillow and others for local search terms”, but as far as I know this tactic is not against Google’s Guidelines. For years dating back to 2009, I have used this tactic for local business such as roofers, tile contractors, limo companies, painters and more. These clients have benefited from it without having to look over their shoulder to see if they are going to be banned from the Universal Results or the Seven Pack. 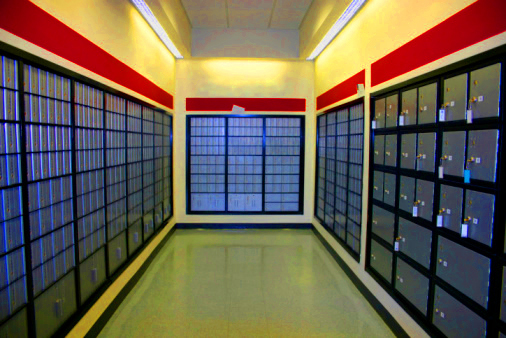 Using PO Boxes and virtual offices is almost encouraged by many citation services that allow businesses to hide their address on their listing page or profile, refer to this list. However, this practice almost has little to no benefit at all since one of the ranking factors for Local Search is proving your Name, Address and Phone Number (NAP). Plus using PO boxes and virtual offices provides a bad user experience for people who might end up driving to your faux address and realize that they have just pulled up to a Mailbox Etc. storefront. Here is what Matt Cutts from Google and Duane Forrester from Bing think about this practice. Okay, now that we understand why we should not be using this tactic to increase organic ranking, let’s get into how you can use Geotargeted PPC to target nearby cities and receive more phone calls. In AdWords there is a feature that allows marketers or business owners to show their ads in certain cities and city blocks. 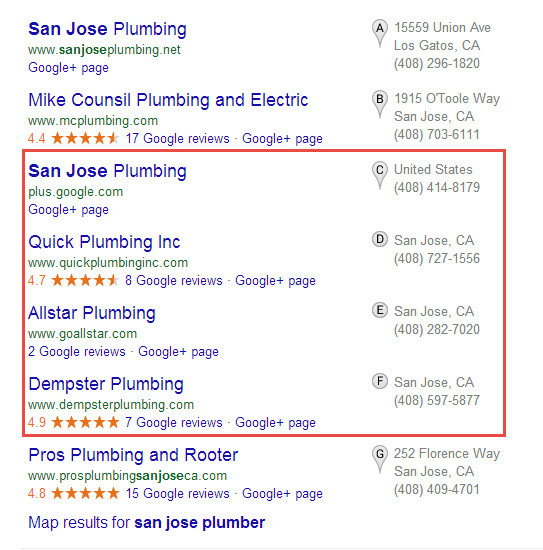 Just remember if you are going to use this approach, ensure that the content on your landing page matches your ad copy, for example if your ad is adverting “plumbing services in Anaheim” make sure you have built out and optimized a great location page for this city. A great landing page should have location related imagery, a video, compelling calls-to-action and keyword themed content using semantics for the location and services you are advertising on your ad. Failing to implement any of these tactics will increase your bounce rate and decrease the position as well as relevancy of your ad. This will lead to wasted clicks from people who don’t find what they are looking for once they land on your page. So if you want to increase the number of calls you receive as well as your conversion rate and ROI, give users what they are looking for without making them perform any additional clicks to find the information they are seeking. Taking shortcuts may result in an increase in ranking for the short-term, but how long will it last and will you or your client lose sleep at night fearing that your company website will be penalized? Remember take the safe route with your SEO or Local SEO campaign every time to ensure you don’t get banned or hammered by any of Google’s many creatures that they love to unleash on Internet marketers and business owners who don’t follow the rules. Keep your nose clean and don’t do anything that you wouldn’t do if Matt Cutts or even Duane Forester was standing behind you. Sorry Duane, but Google is still the 800-pound gorilla in the room. Have you worked with or heard of any companies that are still trying to use PO boxes and virtual offices as a local SEO strategy? Gabriel Reynaga is the SEO Manager at DigitalEYE Media, one of the leading inbound marketing agencies based in Orange County. With over 6 years of experience in search marketing, Gabriel has a clear understanding and knowledge of the Google algorithms, best practices, and keys to achieving strong search results. He is also certified in PPC Search Marketing. In terms of organic search, he has perfected the art of Local SEO as well as several other inbound marketing techniques. Gabriel has created and implemented creative and effective inbound marketing campaigns for a diverse group of verticals including government entities, large food manufacturing clients, and other SMEs. Why is Cookies Size Important?